Here's a UK advert for the theatrical release of STAR TREK: THE MOTION PICTURE, Christmas 1980. This particular one is from a copy of SPIDER-MAN's UK weekly. 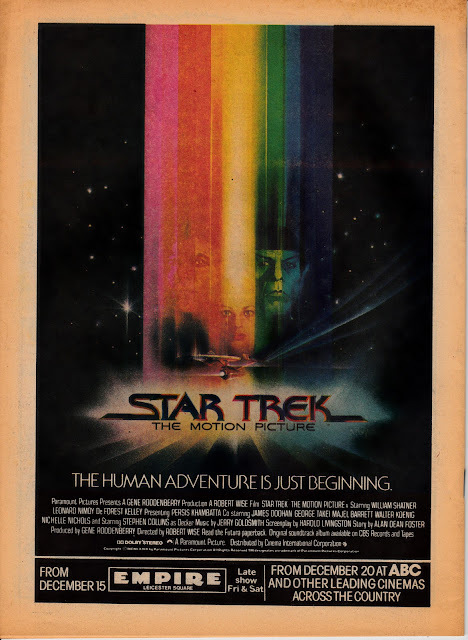 1979: STARLOG'S SCIENCE FICTION YEARBOOK.